This guide is designed for all those Java programmers who would like to understand the Hibernate framework and its API. All the examples in this guide have been developed using Hibernate 5.3 +. Check out 35 + Hibernate Framework source code examples at my GitHub repository and below are their corresponding articles. Hibernate Framework Overview - Architecture and Basics - In this article, before getting started with Hibernate framework, let's familiar with a few basic concepts of the hibernate framework, it's architecture, it's benefits and advantages over JDBC etc. Hibernate 5 - Hello World Tutorial - In this Hibernate hello world tutorial, we will show you how to create a Hibernate Application to connect MySQL database. Hibernate 5 - Create, Read, Update and Delete (CRUD) Operations Example - In this article, we will discuss how to use Hibernate 5 to perform CRUD operations against the database. In this example, we are using MySQL as a database. Hibernate Transaction Management Tutorial - In this tutorial, we will learn how to manage transactions in Hibernate applications. Hibernate 5 XML Configuration Example - In this article, we will show you how to create a Hibernate Application using hibernate.cfg.xml configuration to connect MySQL database. Hibernate 5 Java Configuration Example - In this article, we will show you how to create a Hibernate Application using Java configuration without using hibernate.cfg.xml to connect MySQL database. Hibernate Configurations Quick References [Snippets] - This post is a quick reference to Hibernate XML or Java-based configuration. JPA 2 with Hibernate 5 Bootstrapping Example - In this post, we will show you how to create or configure a simple JPA application with Hibernate. Guide to JPA and Hibernate Cascade Types - JPA allows you to propagate the state transition from a parent entity to a child. This article describes all cascade types with an example. Hibernate/JPA - Primary Key Generation Strategies - Let's discuss 4 different primary key generation strategies which generate the primary key values programmatically or use database features, like auto-incremented columns or sequences. Hibernate 5 - Enum Type Mapping Example - In this article, we will show you how a Java enum type is persisted into a database. Hibernate Component Mapping Using @Embeddable and @Embedded Annotation - With Hibernate we can use the @Embeddable annotation to mark a class to be eligible as an embeddable class. Hibernate Object States – Transient, Persistent and Detached - In this article, we will discuss what are Hibernate object states with examples. Hibernate Session Interface Methods with Examples - In this post, we will discuss important Session interface methods to perform database operations in Java Hibernate applications. Hibernate 5 - Inheritance Mapping - In this article, we will learn 4 inheritance strategies with examples. Hibernate/JPA MappedSuperclass Inheritance Example - The JPA standard specification defines the @MappedSuperclass annotation to allow an entity to inherit properties from a base class. Hibernate/JPA Single Table Inheritance Example - In this article, we will discuss The single table strategy which maps all entities of the inheritance structure to the same database table. Hibernate JPA Joined Table Inheritance Example - In this article, we will discuss The Joined table strategy or table-per-subclass mapping strategy. Hibernate/JPA Table Per Class Inheritance Example - In this article, we’ll look into Hibernate/JPA table per class inheritance. Hibernate Query Language Basics - This article describes the basics of HQL. Hibernate Query Language INSERT, UPDATE, SELECT and DELETE Example - In this article, we will discuss how to create simple Hibernate Query Language INSERT, UPDATE, SELECT and DELETE Example. Hibernate 5 - HQL CRUD Example [Snippets] - In this article, we will see quick snippets or examples of Hibernate 5 HQL CRUD Example. Hibernate 5 Named Query Tutorial with Examples - This tutorial shows you how to use the named queries annotations in hibernation application. Hibernate 5 - Persist Java 8 LocalDate, LocalDateTime and Duration Example - In this article, we will learn how to persist Java 8 LocalDate, LocalDateTime, and Duration with Hibernate 5. How to use Java 8’s Optional with Hibernate - This article show you how to use Java 8 Optional Class to handle NullPointerException. How to get query results as a Stream with Hibernate 5.2 - This post shows you how to use stream() method that allows you to process the query results as a Java 8 Stream. Guide to Hibernate 5 Schema Generation - In this guide, You will learn how does Hibernate allows you to generate the database from the entity mappings. In this guide, we will following points. Guide to Hibernate Native SQL Queries - Let's learn more about Hibernate native SQL queries with examples snippets. All Hibernate Annotations: Mapping Annotations - A quick reference to all Hibernate mapping annotations. All JPA Annotations: Mapping Annotations - A quick reference to all JPA mapping annotations. 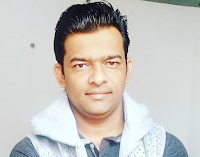 Spring Boot 2 Hibernate 5 MySQL CRUD REST API Tutorial - In this tutorial, we will learn how to develop CRUD RESTFul API using Spring boot 2, Hibernate 5, JPA, Maven, and MySQL database. Spring MVC + Spring Boot2 + JSP + JPA + Hibernate 5 + MySQL Example - In this article, we will learn how to develop a Spring MVC web application using Spring MVC, Spring boot 2, JSP, Hibernate 5, JPA, Maven, and MySQL database. Spring Boot + Spring MVC + Spring Security + Hibernate + MySQL Tutorial - In this article, we discuss how to create a user registration form with Spring Boot, Spring Security, Hibernate and Thymeleaf. We will develop a simple User Registration Module using Role-based Spring security which can use in any spring MVC based projects. Spring MVC 5 + Hibernate 5 + JSP + MySQL CRUD Tutorial - In this spring hibernate integration tutorial, we will learn how to create Spring MVC 5 web application, handle form submission, integrate hibernate 5 to connect to the backend database. In this tutorial, we will integrate Spring MVC 5+ with Hibernate ORM framework using Java-based configuration without any XML configuration. Spring MVC 5 + Spring Data JPA + Hibernate 5 + JSP + MySQL Tutorial - In this tutorial, we will discuss the integration of Spring MVC 5, Spring Data JPA, Hibernate 5 and MySQL CRUD example. We will demonstrate CRUD(Create, Retrieve, Update, Delete) operations on a Customer entity as well as display list of customers from the MySQL database. Spring MVC 5 + Hibernate 5 XML Based Configuration Example - In this tutorial, we will integrate Spring MVC with Hibernate ORM framework using XML-based configuration.